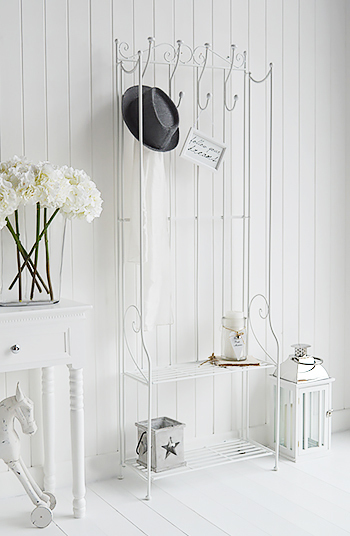 The St Malo freestanding white coat rack with two shelves. 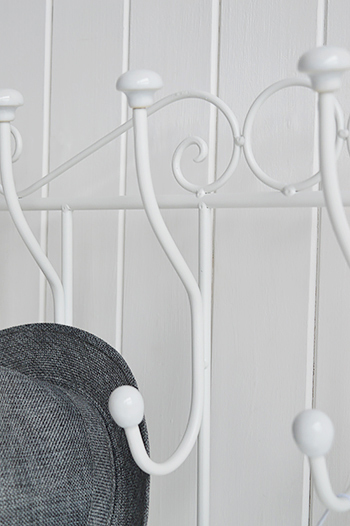 An elegant complete solution for your hallway with 8 hooks and two shelves. 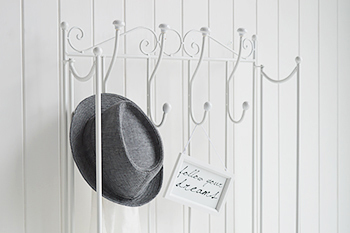 Ideal as well in a bathroom for clothes, towels and storage.